On a pretty spectacular spring evening (girl’s arrived), me and Stephen headed down to Café Pistou for the Noilly Prat L’Apéritif Spring event. The quaint and pretty brasserie lies at the gateway to Exmouth Market serving provençal inspired small plates throughout the day and, both giddy from leaving work early, we plonked ourselves like a pair of fat cats in the sunny terrace and grinned smugly. Noilly Prat is considered one of the world’s first and finest French vermouths, used widely in classic cocktails such as the dry martini; but we were here to drink it the way the French do, as L’Apéritif served simply over ice with a twist of lemon. We felt refreshed and sophisticated and found the single globular ice cube particularly satisfying. Noilly Prat has been created and aged in the South of France for over 200 years using Picpoul and Clairette grape varietals that are aged in small oak casks exposed to the natural elements throughout all 4 seasons in L’enclos. This method replicates the aging process of wines once experienced aboard the decks of sailing ships on long journeys across the sea, resulting in more complex, powerful wines. The Part des Anges (angel’s share), wine lost to evaporation, is 4 times greater than if the wine was aged in an indoor cellar. A secret recipe of over 20 herbs and spices are gently macerated into the blended wines by hand each day for 3 weeks to give Noilly Prat its distinct, aromatic profile. Classically, L’Apéritifs are served before meals to stimulate the appetite, so kindly, we were treated to an array of provençal small plates to stop us from just getting completely hammered. 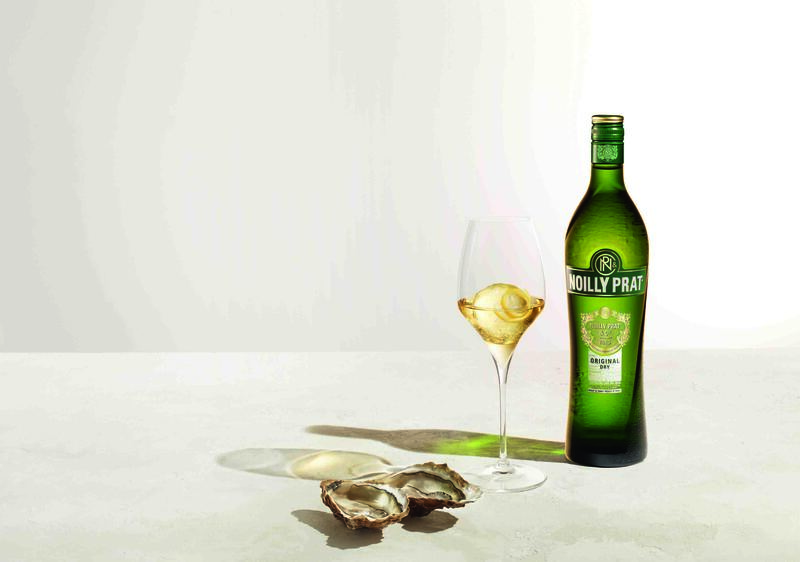 Noilly Prat is also used in French Haute Cuisine and it’s complex aromatic flavour goes beautifully with fish and seafood dishes, particularly oysters, which we were happy to confirm. We also tried the Barbajauns (deep-fried Provençal ‘wontons’ with goat’s cheese and a Noilly Prat honey pepper dip), Salt cod croquettes in crispy breadcrumbs with a sweet pepper, tomato and Noilly Prat mayonnaise dip and Sliced Bayonne ham. The Pissaladieres (puff pastry tart, topped with caramelised onion and a choice of either olives, salted anchovies and a Noilly Prat twist, or Noilly Prat marinated figs, sunblush tomatoes, Gorgonzola and herbes de Provence) were beautiful and the Prawns in crisp feuille de brique pastry were elevated by the delicious Noilly Prat tomato and basil butter dip it was served with. As the sun was going down, and we were thoroughly happy and steaming… dessert! Tres bien. It was charcoal roast plums with blackcurrent, Noilly Prat and olive oil sauce and vanilla mascarpone served with caramel and pine nut crisp and basil sugar. “It’s like a wander through a fragrant forest of berries and basil”, Stephen whispered wistfully, and I said “Yea, it’s dead nice”.